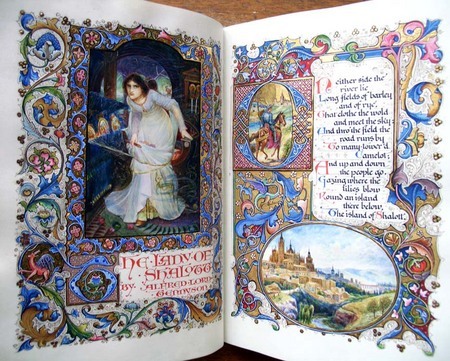 With thanks to Stephen Ratchliffe and John Bidwell, we have now confirmed that Princeton University holds four volumes with original calligraphy and illumination by Alberto Sangorski (1862-1932), elder brother of bookbinder Francis Sangorski (1875-1912). The Sermon on the Mount. 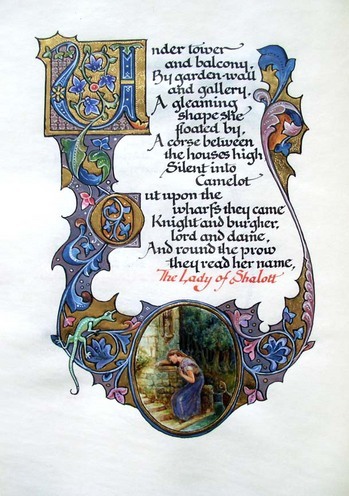 Being the King James Version of the Gospel of Matthew, Chapters 5, 6, and 7, 1911. 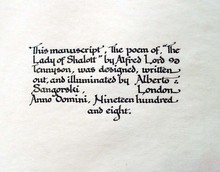 14 leaves (23 pages) as designed, written, and illuminated by Alberto Sangorski. 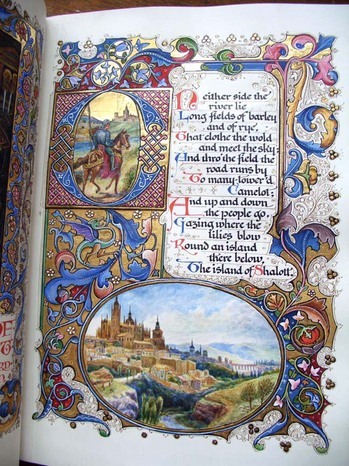 Onlaid morocco binding by Riviere & Son with morocco onlay doublures and watered silk free endleaves. Housed in a velvet-lined morocco clamshell case. Gift of an anonymous donor. Graphic Arts Collection GAX2012- in process. 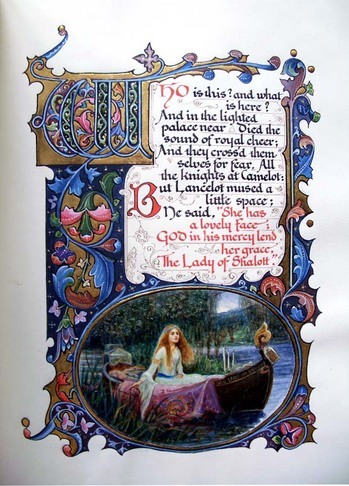 And pictured here, Alfred Lord Tennyson (1809-1892), The Lady of Shalott, 1908. Scheide Library, owned by William Scheide, Class of 1936.